Welcome to the SOS (Salt of Subang) Youth Group, where youths between ages 12 to 21 (sometimes even older), aim to be the salt and light of the Subang Jaya and USJ community. Youth service is held every Sunday at 9.00 am except on the first Sunday of the month when we join the adults at Main Service. We meet at Youth Hall for worship, listen to a sermon and then have group discussion. All aged 6 to 20 years are welcome to join us every Saturday afternoon, from 2 pm to 6 pm. 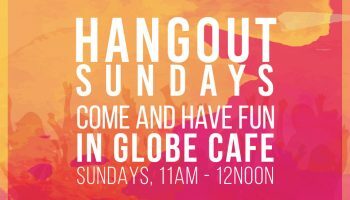 Come and hangout with us after youth service every Sunday (except the 1st Sunday of the month due to Family Sunday) from 11am - 12noon in Globe Cafe. Got children 12 and below?